Introducing an improved standard of accommodation to an area suffering from access problems and limited housing stock, this new mix provides 8no. 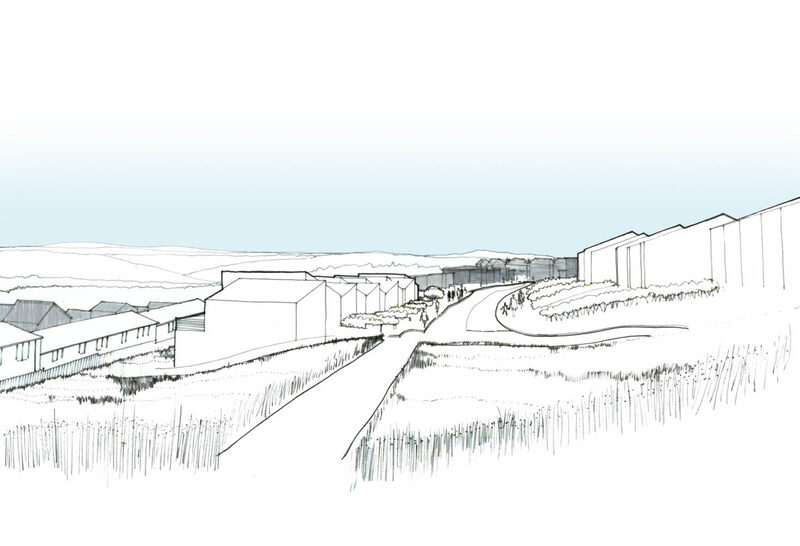 two / three person bungalows and two storey housing as the first of a two phase development plan. 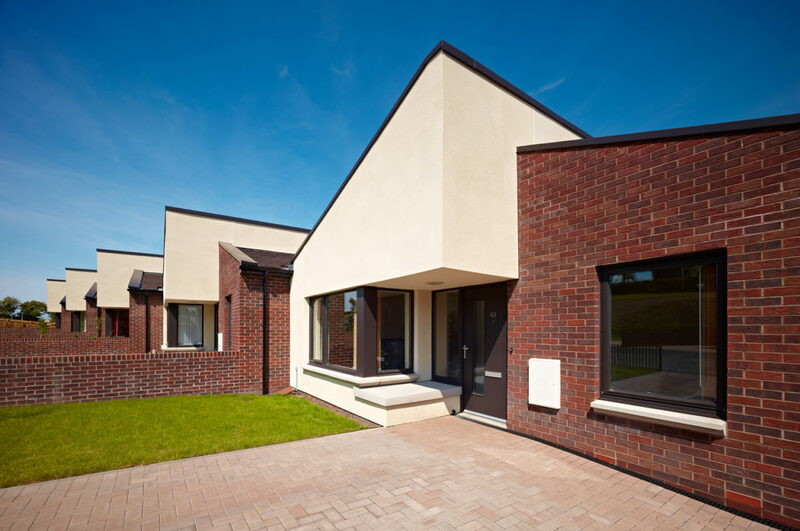 Constructed on a severe sloping site, these units have been designed to have level access to the primary entrance and have been positioned to create external private areas for each dwelling. 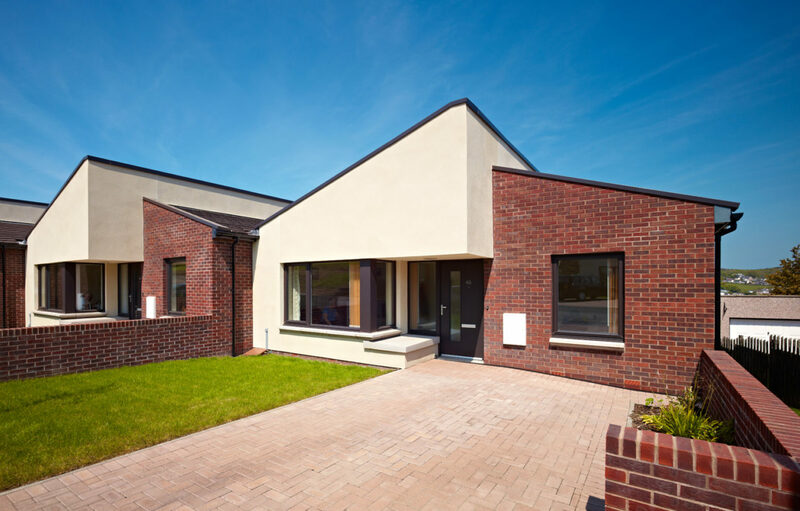 The bungalows have been designed for elderly or wheelchair users, where large canopies and an external bench provide a covered resting space outside the main front door. Internal apartments maximise available floor area to provide a spacious living environment to allow for ease of mobility for less mobile tenants and wheelchair users. In addition, future provision for lifting hoists have between between the master bedroom and bathroom, a second bedroom is available to accommodate overnight guests or a future carer / nurse. The family house is designed with the main living room and second bedroom on the ground floor, with level access provided from the street. The kitchen, master bedroom and family bathroom are upstairs with level access to the garden. This layout would allow for the possible future conversion of the first floor into an enhanced apartment with level access off the main road through the garden. 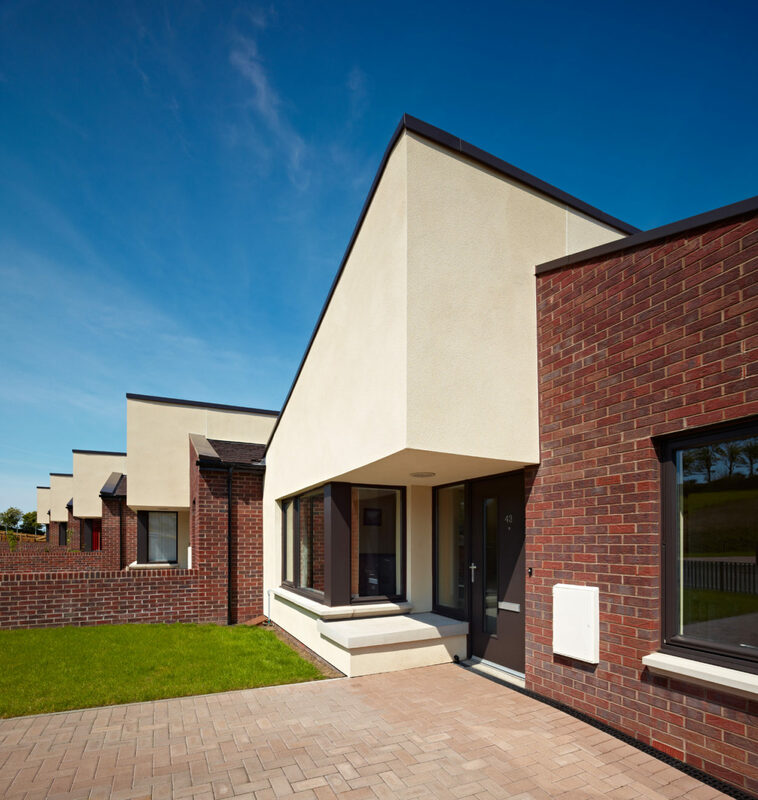 Each house has large corner windows on the large render finished block, these allow morning light to enter the master bedroom and living room as well as affording the residents views over the street and onto the hills beyond. Roof forms and stepped building lines accentuate the site topology providing a very distinctive street frontage. This is further emphasized by the mix of brick & render, providing a level of contrast and interest along the street. The distinctive character of the proposals contrast and compliment the surrounding existing house types and help provide a vibrant new mix of dwellings. Ongoing community consultation events were held prior to and during the construction phase. 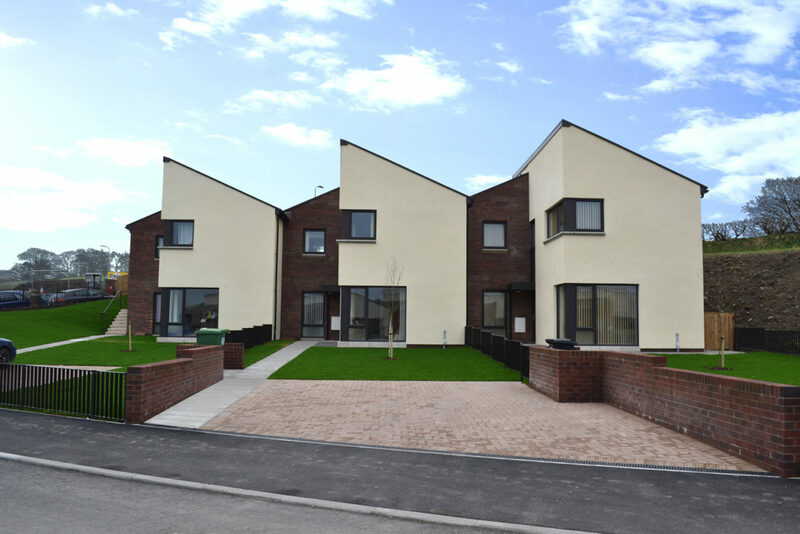 The consultation was open to all residents of the local area as well as the residents moving into the new dwellings, all feedback was incorporated to enhance the design for the end users. Presentations were given within the local community hall by representatives of the client, architect and main contractor to discuss the project progress and ambition.